Find Production Scanners and compare 17 features side-by-side at ScanStore. Wide selection, expert service, parts and maintenance. 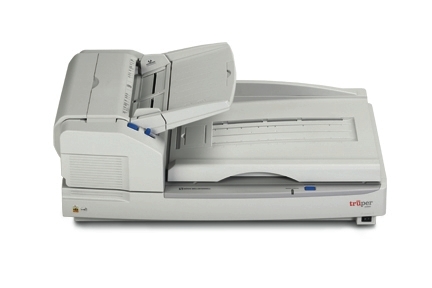 DR-G1100 100ppm Color Duplex 12x118"
The Canon imageFORMULA DR-G1100 production document scanner provides businesses with a high-performance, reliable, and flexible scanning solution to help enhance document management systems. DR-G1130 130ppm Color Duplex 12x118"
DR-X10C 130ppm Color Duplex 12x17"
Easy To Use: Programmable Scan-To-Job buttons, intuitive control panel, and ergonomic design for simple operation. Superior Durability: Robust daily duty cycle increases sustained durability for mid-volume production jobs. fi-6800 100ppm Color Duplex 12x120"
designed the i5850 Scanner with greater capability and versatility to help meet demanding business goals. Image addressing to read patch codes, Intelligent Document Protection (IDP) to safeguard valuable documents, and a rear post-scan printer. 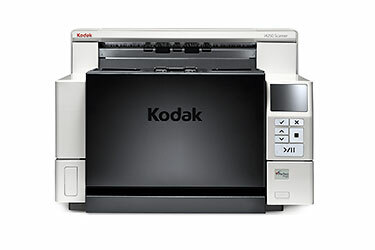 A customizable, intelligent, ergonomically correct production scanner, the i5850 features Kodak Dynamic Flow Technology. This advanced digital architecture delivers optimized memory allocation and processing paths. Now you can work smarter with breakthrough solutions from Kodak Alaris, the high-volume market leader. 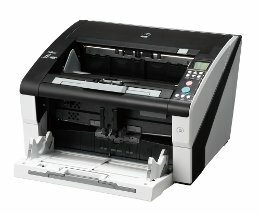 fi-7600 80ppm Color Duplex 12x220"
fi-6400 87ppm Color Duplex 11.7x120"
back-office, the Fujitsu fi-6400 scanner digitizes tens of thousands of documents a day. With proven feed mechanics and high-quality image cleanup, the fi-6400 sustains a spectacular throughput, providing businesses with an exceptional ROI. 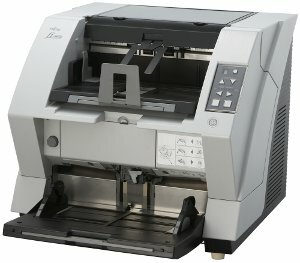 As promised, Fujitsu has delivered a trusted production scanner in a quiet and compact space. i4650 100ppm Color Duplex 12x210"
i4850 115ppm Color Duplex 12x210"
The KV-S7097 low volume A3 flatbed production scanner marks the newest addition to Panasonic’s line of production class scanners, delivering superior yet affordable quality and speed. 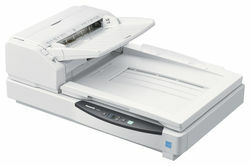 The KV-S8127 high-volume production scanner marks the latest addition to Panasonic’s line of document scanners. Designed for banks, government, service bureaus and any high volume scanning environment. The KV-S8127 delivers top of the line features and functionality to help increase efficiency and decrease production scanning costs. Sidekick 1400u 43ppm Color Duplex 8.5x14"
with attached sticky notes, photographs or envelopes. The Multifeed Ignore feature allows you to capture all of the document’s information without extra document preparation. Ultrasonic multifeed was first introduced with BBH’s flagship high-speed production Spectrum Series. The low-volume production Trūper Series also incorporates this feature in addition to the Multifeed Ignore function. Now, BBH’s departmental scanner, Sidekick 1400u, is also proud to include the advanced feature. 1, 2010 Bell & Howell is now owned by Kodak. All the Bell & Howell scanners and parts will become integrated into the Kodak name with a Kodak part number. The low volume production scanner segment just got a little faster. 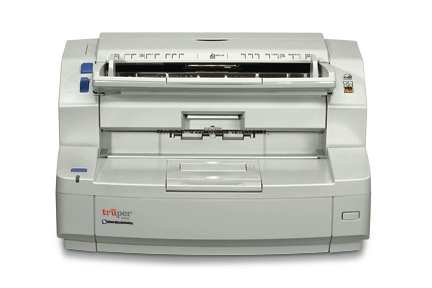 Trūper's unique combination of image quality, 10,000 page daily duty cycle and category leading 67 pages per minute speed in landscape (62 ppm in portrait) make it an attractive option for service bureau overflow, busy office environments and businesses with exception document scanning needs. With flatbed plus rotary and a rotary only option, Trūper can meet your diverse scanning needs. The DR-7080 achieves scanning speeds of up to 70 pages-per-minute for color, grayscale and black & white scanning up to 200 dpi. 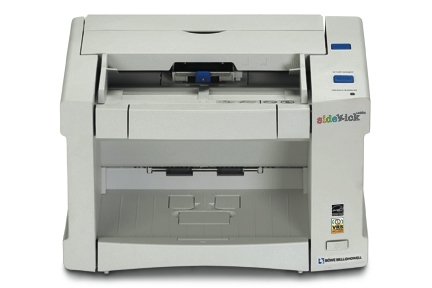 Documents can be scanned in 24-bit color, with an advanced CCD sensor, ensuring superb color reproduction with graphs, charts, photos and more. DR-9080C 90ppm Color Duplex 11x17"
length, thickness or gaps. It will suspend scanning upon detection to send an error alert to the operator. 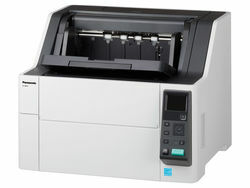 fi-6670 70ppm Color Duplex 11x120"
fi-6670A 70ppm Duplex Color 11x120"
More info on Production Scanners. This page was designed to help you find Production Scanners quickly and easily. Click Here to find Production Scanners. Click Here to find Production Scanners.